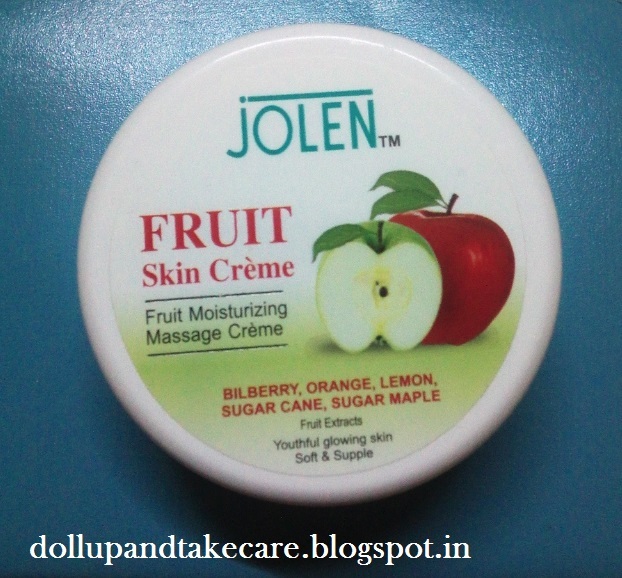 This cute tub from Jolen is my recent favourite . 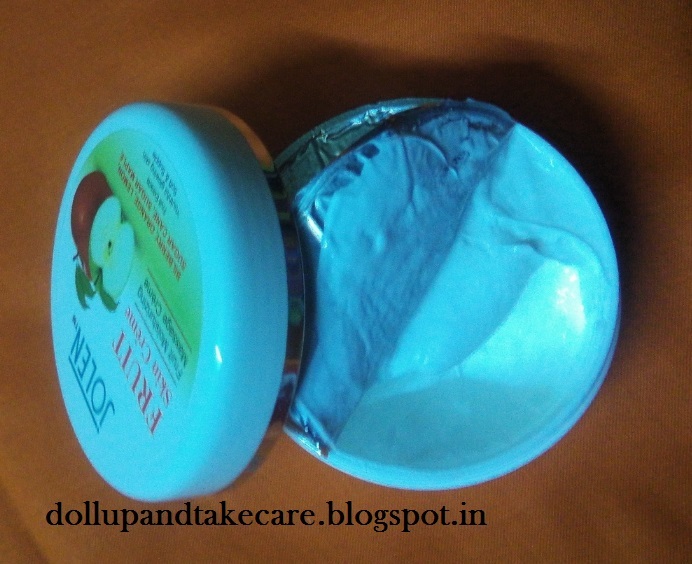 Jolen Inc is almost 57yrs old skin care brand that is a pioneer to widely used CRÈME BLEACH. This Fruit Skin Crème is actually a fruit moisturizing Massage Crème made with fruit extracts bilberry,orange,lemon,sugar cane and sugar maple. Texture- Texture is thick but blends amazingly.It is buttery yet not oily. Its buttery texture healed my flaky skin . It makes my skin soft and supple gives youthful glow . My skin loves the texture of this crème.